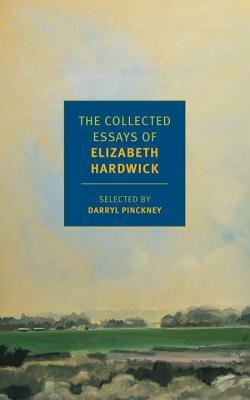 The first-ever collection of essays from across Elizabeth Hardwick's illustrious writing career, including works not seen in print for decades. Elizabeth Hardwick (1916–2007) was born in Lexington, Kentucky, and educated at the University of Kentucky and Columbia University. A recipient of a Gold Medal from the American Academy of Arts and Letters, she is the author of three novels, a biography of Herman Melville, and four collections of essays. She was a co-founder and advisory editor of The New York Review of Books and contributed more than one hundred reviews, articles, reflections, and letters to the magazine. Darryl Pinckney selected The New York Stories of Elizabeth Hardwick (2010). He is the author of two novels, High Cotton (1992) and Black Deutschland (2016), and of two works of nonfiction, Out There: Mavericks of Black Literature (1992) and Blackballed: The Black Vote and US Democracy (2014). He also worked for Robert Wilson on his productions of The Forest, Orlando, Time Rocker, The Old Woman, Letter to a Man, and Garrincha: A Street Opera.